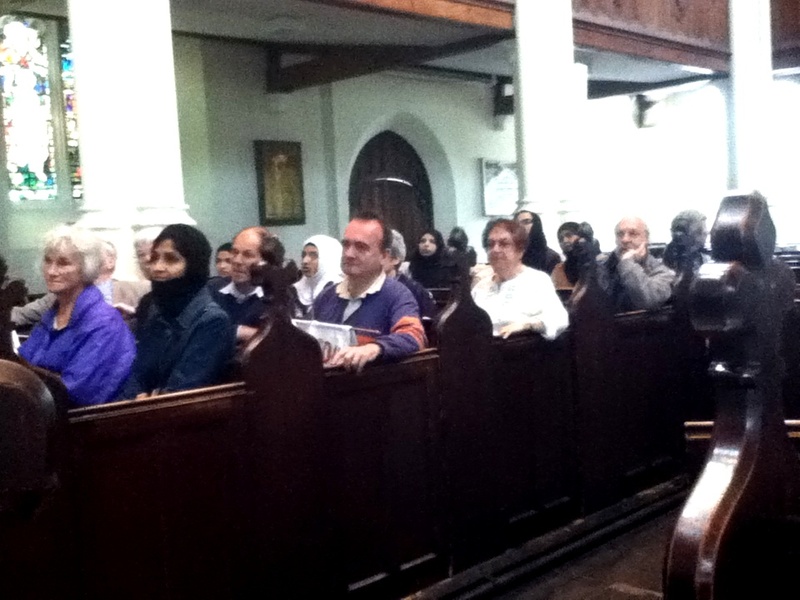 Merton Inter Faith Forum, supported by Merton Partnership, organised a walk on Sunday as part of South London Inter Faith Group‘s weekend of walks for this Olympic year. The walk attracted a wide range of local residents. The Revd Andrew Wakefield has kindly sent in some photos. 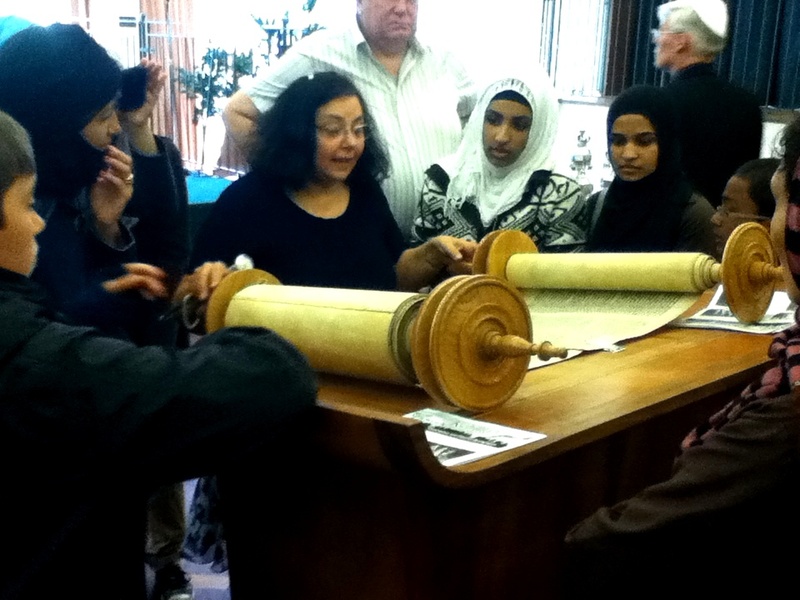 Rabbi Rothschild explains the importance of Torah Scrolls at Wimbledon Synagogue. 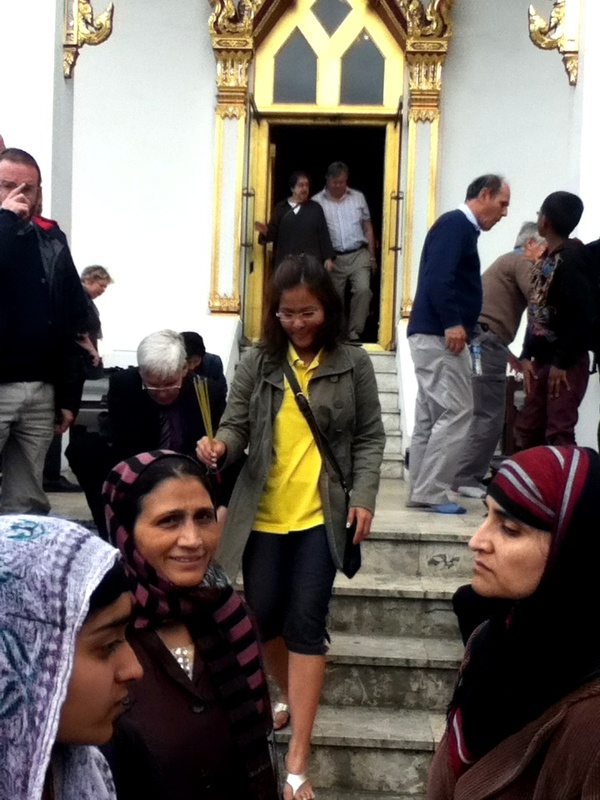 Walkers leaving the Buddhapadipa Temple. Listening to Revd Mary Bide, Rector of St Mary. 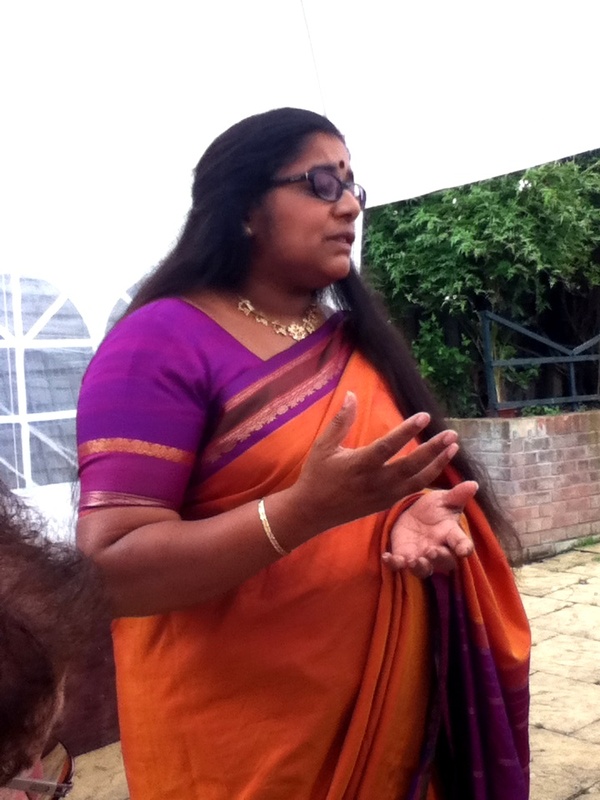 Mrs Geetha Maheshwaran introducing the community at the Shree Ghanapathy Temple. 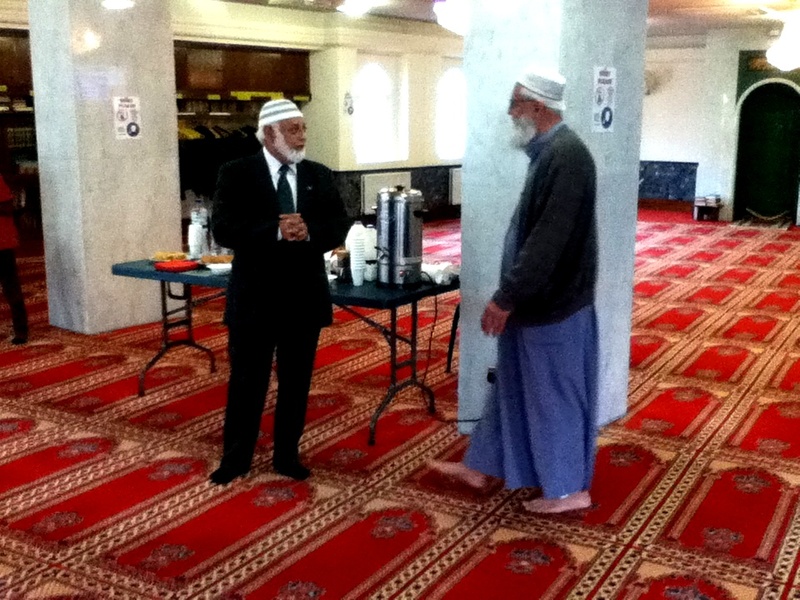 Final stop, Wimbledon Mosque – Saleem Sheikh and the Chair of the Mosque Council. Thank you Andrew! 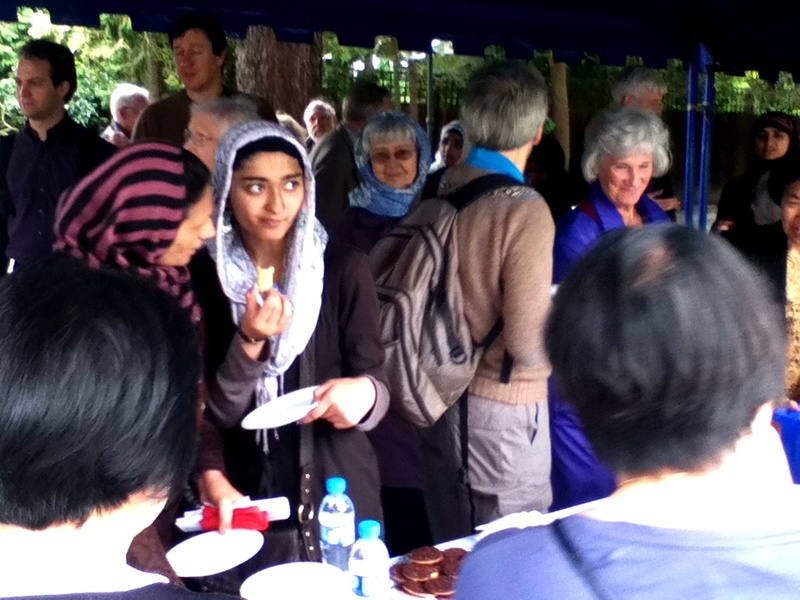 Photos from any of the peace-building events over the summer are welcome – just email them in.